Half term and school holiday hockey camps have been established at the Lindum Sports Association for a good few years, and Hurricane Sports have just announced their plans for this coming February half term. 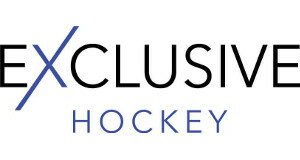 Fully qualified coaches will be taking the sessions, for ages 4-18 years, along with guest coaches who usually come with a high level of representational hockey experience. The costs for this camp are £12.00 per person (4 – 6 years) and £22.50 per person (7- 18 years), and lunches are also available as well. Further details can be found on Hurricane Sports’ Website.